South Africa is a country of unequalled beauty and dramatic changes of scenery. Along nearly 3000km of coastline you will find countless unspoilt beaches, thriving wildlife, unrivalled and unique plant life as well as a multitude of undisturbed nature reserves, world-class golf courses, breathtaking mountain passes and spectacular wine estates. The Mother City, Cape Town, one of the three most beautiful cities in the world, has so much to offer the tourist. With Table Mountain now being integrated as one of the new Seven Wonders of Nature, this iconic landmark presides over a city that offers the opportunity to visit many places of great beauty and astounding history, to shop in myriad shopping malls catering to every taste, and to sample magnificent cuisine and a large variety of award-winning South African wines. 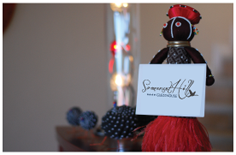 The team at Somerset Hill has been in the Hospitality and Tourism industry for many years. Originally from France, my parents and I decided to experience a new adventure together. I had worked for a French Tour Operator in Cape Town for four years and Laurence & Renaud, my parents, had owned a restaurant in France, which operated for 30 years. We have combined our hospitality and tourism skills and experience gained both in Europe and Cape Town to make our guests’ stay as memorable as possible by offering each one personalized service.